GEORGETOWN, S. C. — Screen Tight™ has expanded its line of extruded aluminum porch screening systems with the addition of an ultra low profile system that’s perfect for second floor or higher porch applications. The MINI Track™system blends into any housing style and trend without any visible obstructions to create a clean, rich seamless look. 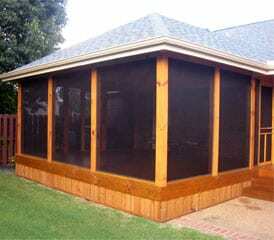 The system also offers unlimited trim possibilities and is easy to install. Fasteners of the innovative MINItrack™ porch screening system are completely hidden. The MINI Track™ System has two-parts: Ultra low profile 3/4 in. by 3/4 in. 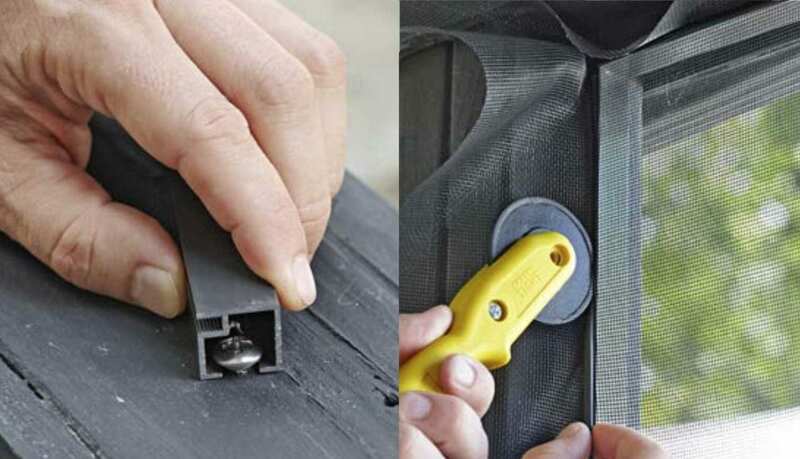 clips that attach to the trim or wooden frame and 8 ft, 10 ft or 12 ft long extruded powder coated aluminum channels, and small clips that attach to the frame. The channels are available in white or bronze finishes and “snap” over the clips for a clean, professional look that adds value and elegance to the structure. The versatile MINI Track™ system from Screen Tight™ of Georgetown, S. C. is an ultra low profile system that’s perfect for second floor or higher porch applications. MINI Track™ blends with any housing style and trend without any visible obstructions to create a clean rich seamless look. This entry was posted in News and tagged Mini Track.